Keywords, Quality content, SEO, permalinks are few factors to get high PageRank, But which factor has highest impact on PageRank that is backlinks. Quality backlinks play great role in getting high PR. You should focus on quality of backlinks not teh quantity. It is importan to have 20 backlinks from PR5 or blogs rather than getting 200 backlinks from PR0 or PR1 sites. Always get PR backlink from same niche sites or blogs. If you have technology blog then focus on technology backlinks. Never get links from "linkfarm" sites or any softwares. they can cause you ban from Google. I also made mistake of getting backlink from different niche websites. But then I realized my mistake and started getting backlinks from same niche blog and websites. You should comment on top blogs with same niche, and forum postings. Only backlinks from same niche get you good PageRank. When you make backlink to a blog make sure that blog is not banned or unethical. First check details and then only make backlinks. Wrong links can affect your blog popularity and result in degrade pagerank. 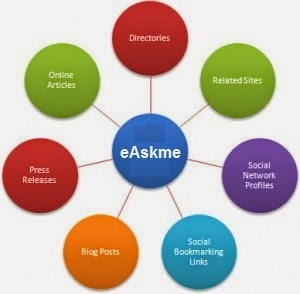 My personal experience never go for automatic backlinks softwares or Internet tools. We love our site and blogs so why do bad for it. Use direct ways to make backlinks like commenting on high PR blog, sending emails. Do share what strategies you use to get quality backlinks.